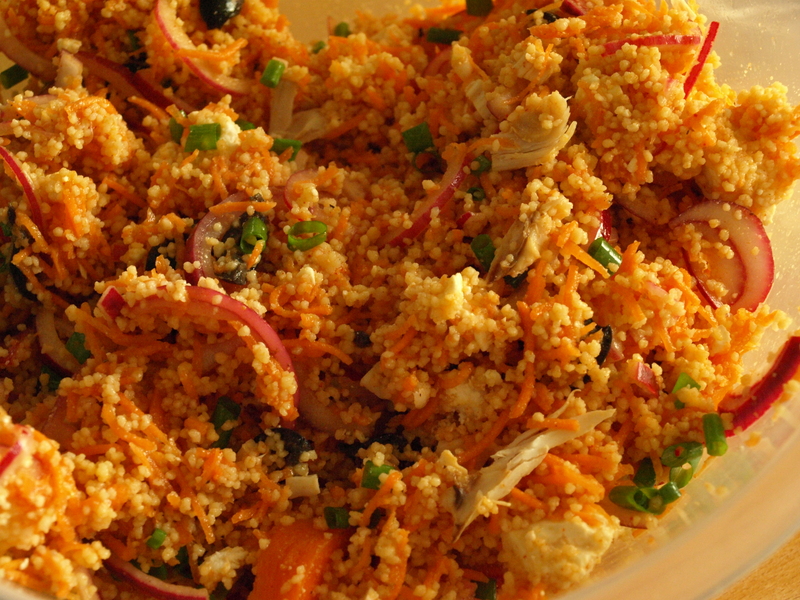 Over the last couple of weeks, there has been a big bowl of cous cous in the fridge, I eat it for lunch and dinner. There isn’t really a recipe for it but I cook the cous cous with chick stock, mix it with grated carrot, quick pickled red onion, feta, black olives and spring onion. The dressing is oil, lemon juice with salt, pepper, cumin and smoked paprika. 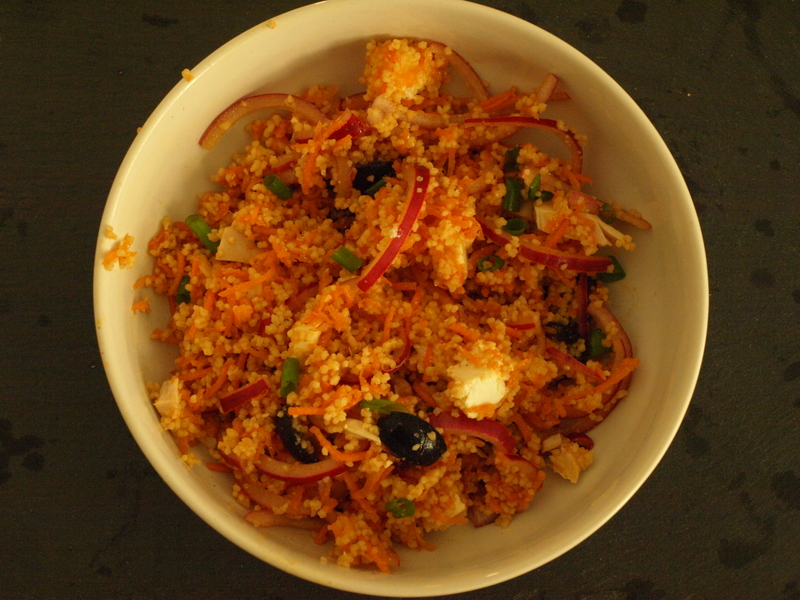 This entry was posted in Cooking and tagged black olives, carrots, cous cous, feta, red onions, spring onions. Bookmark the permalink.